Thu. 7/19 1:30p: Join All That Jazz host Mark Weber - we’ll get to know multi-instrumentalist multi-faceted improviser Kali Z. Fasteau who immerses herself into pure freedom, pure sound, breath, lyricism & fire. 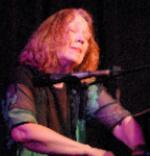 Her trail of recordings reaches back to the early 70s on the renowned free jazz label ESP. 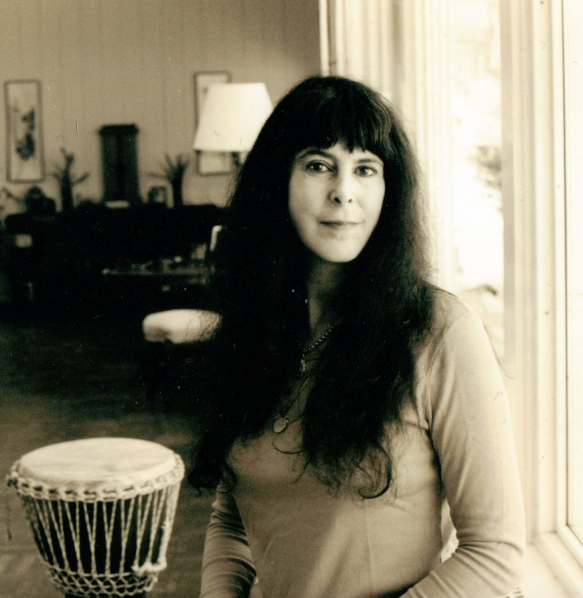 We’ll listen to her music as well as a live telephone conversation from her studio in upstate New York. Thu. 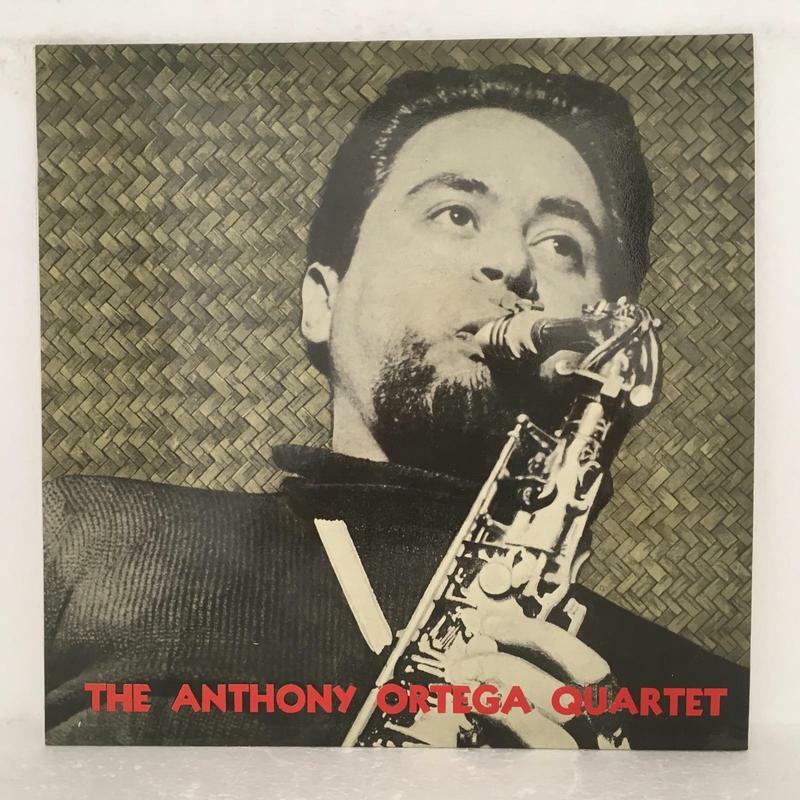 1/17 12p: Anthony Ortega has played and recorded with all of the West Coast scene since 1947. This is going to be good! Thu. 10/26 12p: Guitarist extraordinaire Lewis Winn will be our guest playing live in-studio in duet with Milo Jaramillo on Thursday. 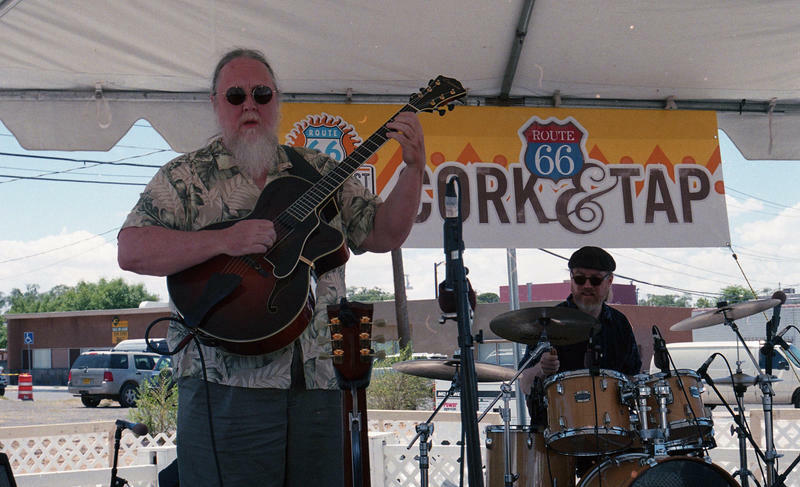 Guitar & bass & things unseen as in clairvoyance & ghosts of all that jazz is --- Host Mark Weber. Thu. 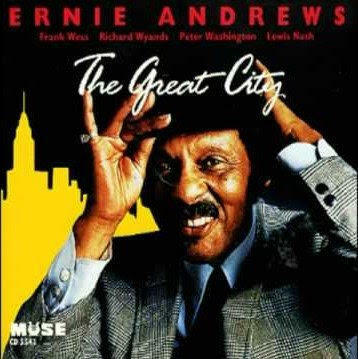 3/2 12p: Live in-the-moment telephone interview with Ernie Andrews from his Los Angeles home. 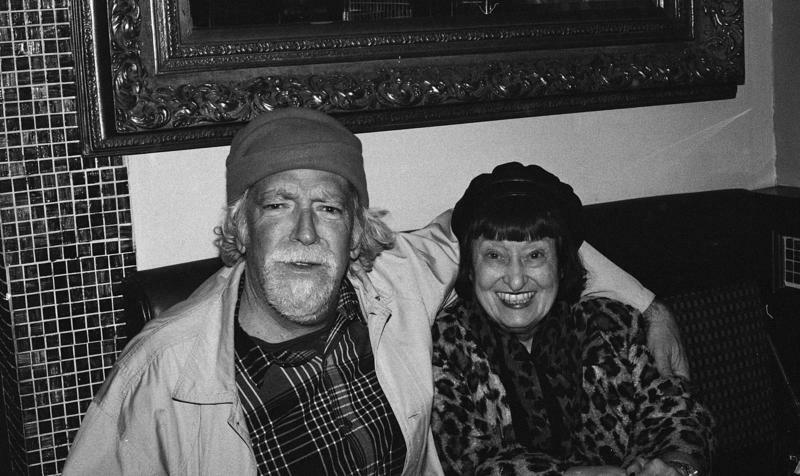 Thu 03/05 12P: Sheila Jordan will visit with us for talk and insights into song while she is in New Mexico for a performance at the Outpost in Albuquerque and at the Museum Hill Cafe in Santa Fe. If we were Latin we'd call her sui generis. In jazz we just say that she is so completely her own person that she is probably more completely related to the birds than to humans. We'll ask her about that. Who could possibly not know more about Charlie Parker than someone who has actually played his very notes? 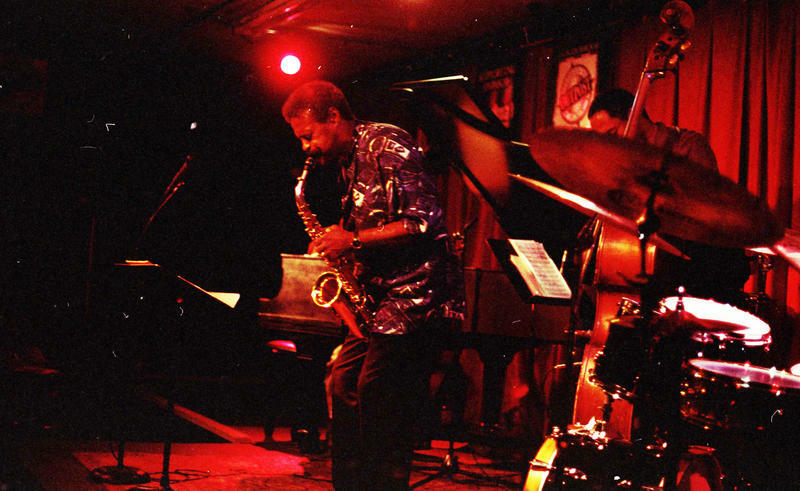 We've talked with Charles McPherson on this subject several times before on All That Jazz and We'll have a batch of new questions to ask the maestro. 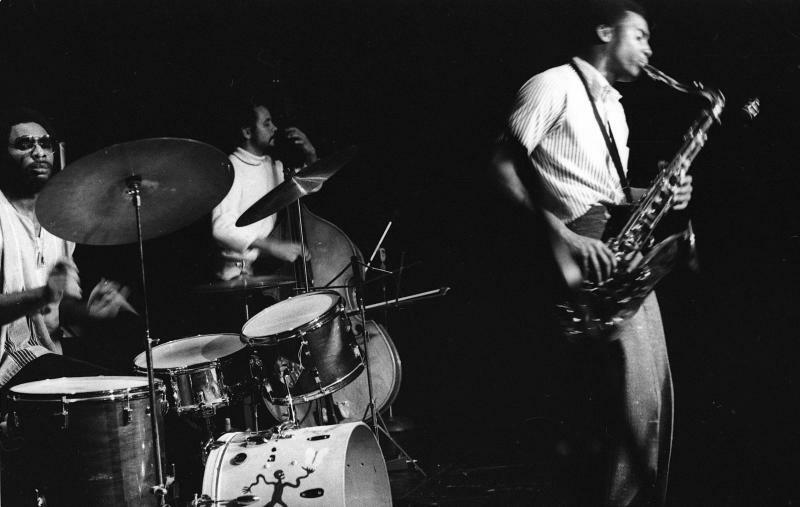 We'll patch a live hook-up via telephone with Charles McPherson at home in San Diego. 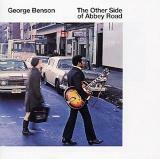 There has recently surfaced Bird w/ strings charts heretofore not known to have been part of that repertoire, things written by George Russell ( ! ) and Charles has seen and performed these charts a couple years ago at Jazz at Lincoln Center. Thu. 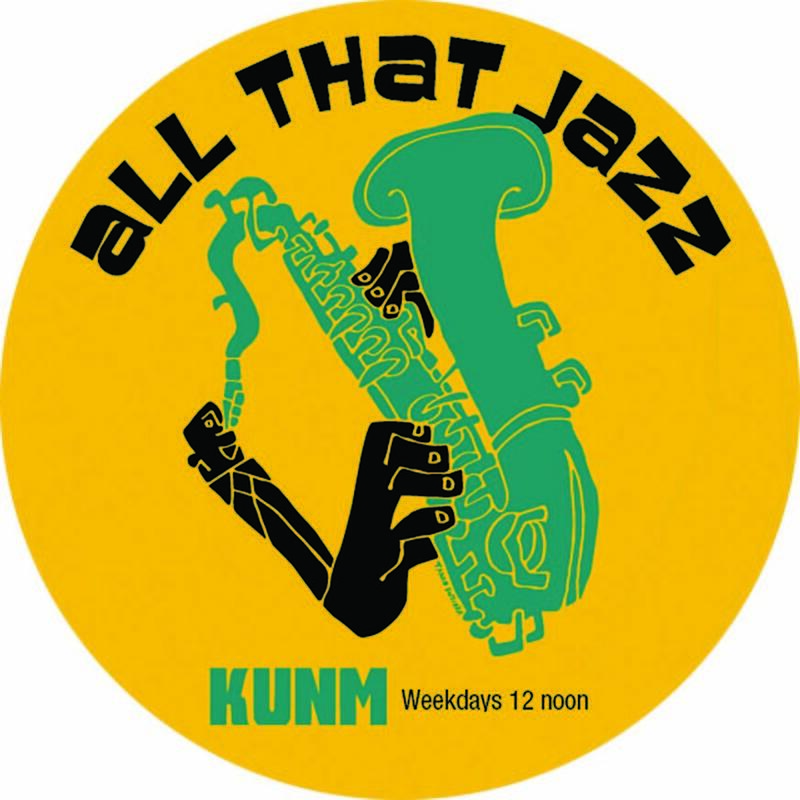 12/25 12p: The late Kenny Davern loved doing radio at KUNM -- He was my co-host on the Noon jazz show from 2002 (his first guest appearance was July 11) through 2006 when he got away from us in December. He and his wife Elsa had moved to Sandia Park in 2001 and whenever he wasn't on tour performing around the world he'd be on the Thursday show. Today's theme will be: WHAT WOULD KENNY PLAY? We'll play records Kenny loved and play some of the records Kenny made himself: One of the world's great jazz clarinetists, we were fortunate indeed to have him among us those years. Thu. 10/2 12p: In hindsight, evolution may not be the best word to describe jazz's thus far 120-year journey, simply because all of the central tenets of jazz have been in place since the beginning (ie. swing, rhythmic variety, fun, spontaneity, theme & variations improvisations, in-the-moment reflection of society). The ideas inherent in jazz have always implied everything that was yet to be explored and discovered, we just needed the time to get to it all. To use the word "evolution" tends to imply advancements, improvements, new levels of complexity, armored sophistication. Thu. 1/5 12p : Mark Weber will have in the studio the esteemed trumpeter Lee Katzman who was a long-standing member of the Stan Kenton Orchestra in the 50s, and worked on both coasts making records and playing with Bill Holman, Anita O'Day, Carl Fontana, Med Flory, Jimmy Rowles, Sonny Stitt, Terry Gibbs, Lennie Niehaus, Claude Thornhill, Bob Dorough, Supersax, June Christy, Shelly Manne, Onzy Matthews, Pete Jolly, etcetera, etc. &c.
Thur. 12/22 12p: Hooked up and LIVE will be Christmas tunes as delivered by local revered maestros Lewis Winn on guitar and Michael Olivola on double bass. Host Mark Weber. Thurs. 9/8 at noon: Today we feature the music of Gildo Mahones whose crystalline perfectly balanced piano backed everyone from Sonny Stitt, Lorez Alexandria, Booker Ervin, James Moody, O.C.Smith, Benny Carter, Pony Poindexter, Jimmy Witherspoon, King Pleasure, and on and on. 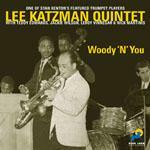 Mostly notably you know him from his years (1959-1964) he worked with Lambert, Hendricks, and Ross. Thurs. 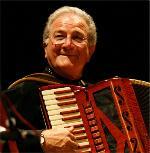 9/1 at noon: Today we will be featuring the music of master jazz accordion maestro Frank Marocco, and talk with him Live via telephone from his home in Los Angeles. Thurs. 8/18 at noon: Today we will be talking with the king of guitarists via long-distance telephone in upper New Jersey - Bucky Pizzarelli! Thurs. 7/21 at noon: We'll be talking with the maestro via telephone on this day and playing as much of his music as we can squeeze into a 90-minute slot. 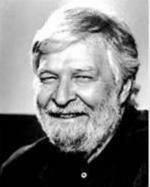 Bill Holman is a legend in Los Angeles. The general consensus is that he is the Bela Bartok of big band jazz arranging. That is, his ideas are not hampered by a tepid approach to dissonance and counterpoint and other formulaic stick-within-the-lines rules & regulations. His charts pop with the indispensable and capacious element endemic to the best bebop, that thing that makes bebop BEBOP: joie de vivre -- Joy of life! Thurs. 7/14 at noon: Today we will be talking Live via telephone with possibly the pre-imminent scholar on jazz: Dan Morgenstern. Author of several books and thousands of jazz record liner notes and has been on the scene in the greatest jazz city in the world - New York City - throughout some of it's most compelling eras. Thurs. 7/7 at noon: Today we'll be talking via telephone with pianist Connie Crothers from her loft studio in Williamsburg, Brooklyn, New York. Thurs. 6/23 at Noon: Tune in this week for an interview between Host Mark Weber and accomplished and versatile flutist, James Newton. Thurs. 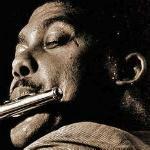 6/16 at noon: Mark Weber interviews jazz cornetist Bobby Bradford about his distinguished musical career and all things jazz-trumpet. 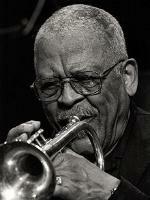 Today we talk with Bobby Bradford about jazz and trumpets and the artists who play jazz trumpet. Bobby Bradford plays the near-relative of the trumpet known as the cornet. We'll cover everybody from Dizzy to Buddy Bolden to Don Cherry, Shorty Rogers, Chet, Bix, Bubber Miley, Cootie Williams, Art Farmer, Fats Navarro, and King Oliver. Thurs. 6/9 at noon: Tune in this Thursday afternoon for a live interview with jazz guitar legend Johnny Smith, and hear some of his tunes. 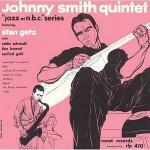 I am pleased to announce that on tomorrow's KUNM Thursday June 9, 2o11 jazz radio show I'll be playing the music of Johnny Smith as well as talking with him on the telephone -- This guy is one of the great legends of jazz music and jazz guitar. That's at Noon-O-Six at 89.9 FM and streaming on the web at KUNM.org. Thurs. 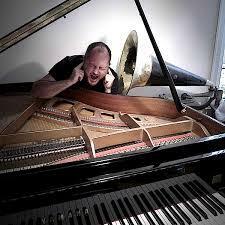 5/26 at noon: Avante-garde musician J.A. 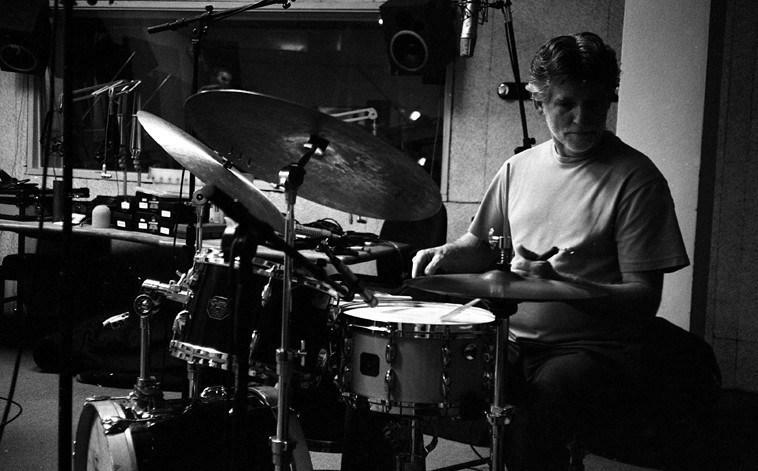 Deane joins Mark Weber in the studio to share music from some of the albums that influenced his art. You ever wonder what's going on in the noggins of the avant-garde? John Cage scratches a turntable cartridge that is amplified and then noodles around with contact mikes stuck onto the spines of a saguaro and we're all politely sitting in our seats in a major concert hall listening to this? It's interesting the first time around, and I recommend it. The second time around you're on your own. Thurs. 5/19 at noon: Supersax founder Med Flory talks with Mark Weber and the sax section of Supersax New Mexico. Thurs. 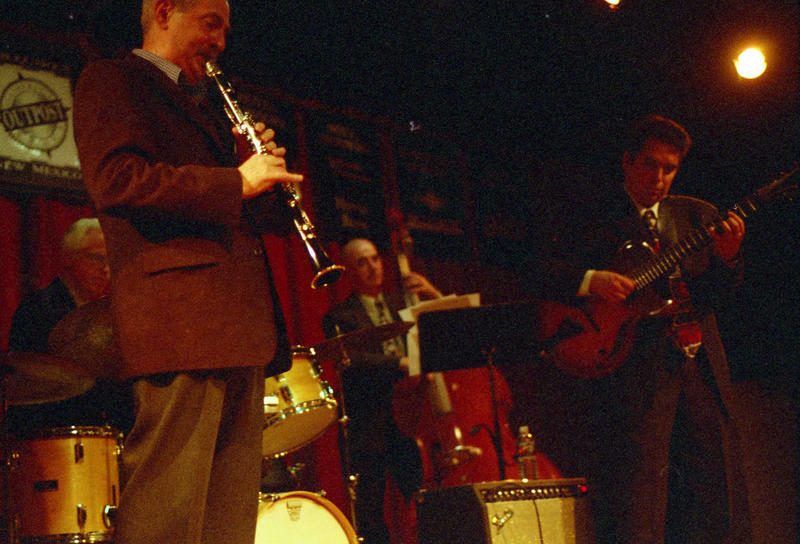 4/7 at noon: Mark Weber interviews jazz saxophonist Richard Tabnik live from his home in NYC. But first, J.A. Deane drops by to share his new CD. Thurs. 3/24 at Noon: This week on the Thursday jazz show we'll honor the contributions that Japan has brought to the music of jazz, and let them know that we are thinking about them in their time of sorrow and struggle in the aftermath of the recent earthquake and tsunami and near-nuclear nightmare. Thurs. 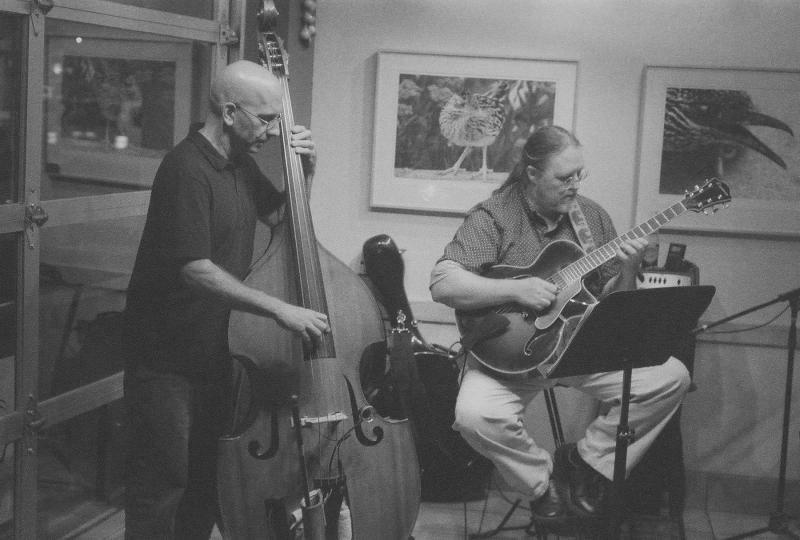 3/3 at noon: Mark Weber spins jazz renditions of the Beatles. Thurs. 2/24 at Noon: Today we're going to feature the music of and talk to Bill Smith, one of the greatest jazz clarinetists to ever wet a reed. 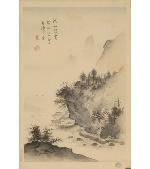 As well, one of the least acknowledged for his mastery. In my choosy pantheon of clarinet greats he easily sits along side Artie Shaw, Johnny Dodds, Pee Wee Russell, Kenny Davern, Bill Payne, John Carter, Gary Foster, Lester Young, Hal McKusick, Jimmy Noone, Frankie Teschmacher, Buddy Collette and Beth Custer. These artists can spell chalumeau backwards, forwards and inside out. I spell it: Liquid. Thurs. 2/17 at noon: Today we'll be featuring the music of Los Angeles bassist Henry Franklin who is known on the coast as The Skipper and his ensembles are his Crew. Thurs. 1/27: Today on the Thursday jazz show we'll have as our guest a modern-day jazz preservationist who records the music in clubs and concerts from New York to New Mexico. Steven Schmidt will dig into his archive of field recordings and give us an update on what's going on out there. Thurs. 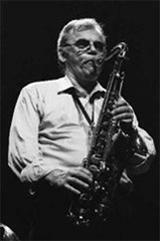 1/20: There are not very many saxophonists who can claim that they've played with both Warne Marsh or Lee Konitz and fewer yet who have played in that rarified atmosphere with Warne and Lee together at the same time. The only others being Hal McKusick and Jimmy Guiffre. Today we talk with tenor saxophonist Ted Brown live over the telephone from his home in New York City.